Appreciate up front all the help, don't know that much about working on SB's. 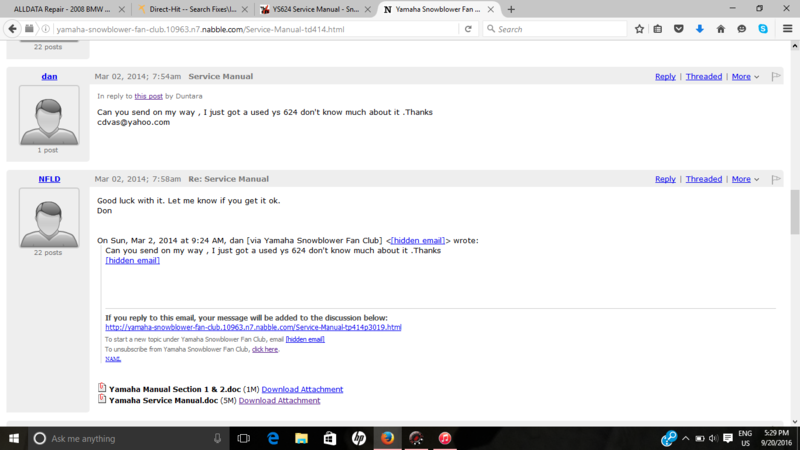 Yamaha wants $92 for a service manual, anyone know of where I can download a copy? Can change gears and direction if I clamp a set of vise grips on the outer arm, not sure which gear I'm really in when doing this. Can Not change gears using the control levers. It's not uncommon for service manuals to be rather expensive. Back in the day there were times when some dealers of motorcycles and small engine equipment like lawn mowers and snowblowers wouldn't even sell them to you! But now with the internet you can usually find them. Did you ever get a free PDF manual for the YS 624T. Welcome to SBF Kunee. This is not a PDF, but it is the complete manual for the 624 model. Compliments of Coby7, a prior member.